Journalist, photographer and filmmaker Jarret Liotta. WESTPORT — Jarret Liotta never felt any particular connection to the military. Growing up, the Westport native was drawn to writing, film, photography and music, which he parlayed into a varied career, contributing written work to venues like the New York Times and National Geographic, photographing for local newspaper outlets — including Westport News — and working for a time in Los Angeles in the film industry. 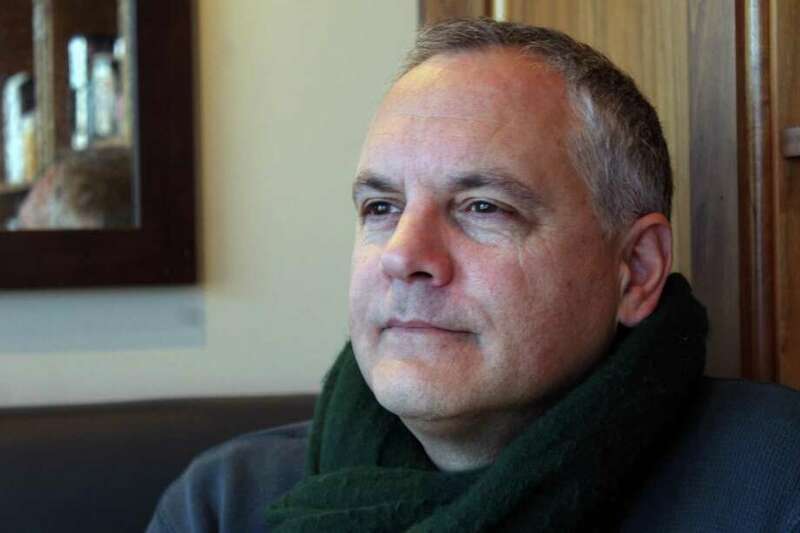 But until a little over a year ago, when he was approached by Westport Library Executive Director William Harmer, his work had never dealt closely with the military. Harmer went to Liotta, who worked for a time at Fox Searchlight and is in the process of making a narrative film, about creating a documentary that would highlight local servicemen. Liotta took the assignment, co-produced by the Westport Library and the Westport Historical Society, and interviewed 24 local veterans, the oldest of whom served in World War II and the youngest recent Staples High School graduates, to make “Community & Country: A Spirit of Service,” which debuted at Westport Library in November and will be shown again at the library Feb. 13 at 2 p.m, as part of WestportReads, which this year is “exploring themes of healing and perseverance,” according to Westport Library’s site. “This veterans film is, in every sense of the word, a community-based initiative. It is especially significant for the library and the community of Westport to have had an opportunity to archive stories, faces, and voices that would have been lost if this project hadn’t been completed,” said Harmer, noting that one veteran featured in the film, Bob Satter, died before the film was premiered. As Liotta set out to complete his interviews, he said he wanted to explore one question in particular: Why did you serve? “Some of it is cut and dry. Some of them volunteered for obvious reasons. One said he wanted to stop Hitler. Other people, it’s based on family history,” Liotta explained. He said many World War III veterans he spoke to expressed a need to respond to the threat of Fascism and Nazism in Europe at the time, as well as the threat at home with the attack on Pearl Harbor. Subsequent generations, Liotta said, cited the bravery of their fathers and grandfathers as inspiration. Others, he added, had answers that surprised him and made him think in a more micro way about what service means. “Right from the get-go I was finding myself seeing eye-to-eye with these people,” Liotta said. He hopes that the movie will help to educate local teens on the value of service. “If we’re going to try to make the world a better place, which I think is what we all should be doing, it’s important to take every opportunity to try to teach kids better… I hate the word values — but just to teach kids,” Liotta said. Liotta himself said he learned to separate individual action from the actions of a larger organization. “Appreciating a military serviceman is very different than condoning a military machine,“ Liotta said.